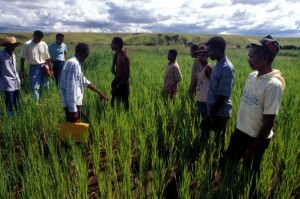 Farmers and researchers of the Madagascar-IRRI Rice Research Project. Credit, IRRI. Human capital is the “productive wealth embodied in labour, skills and knowledge,” created by better education or health. Building the human capital of smallholder farmers can raise productivity, increase livelihoods and improve food security when appropriately leveraged. It plays a critical role in agricultural growth and development because human beings occupy the centre of production, distribution and consumption. Improved human capital for smallholder farmers is a prerequisite for achieving Sustainable Intensification. At the most basic level, agriculture relies on the knowledge and labour of farmers; their understanding of their crops and livestock, the conditions they require and their ability to use inputs and farming methods effectively. Knowledge is a thus key input for building human capital, requiring “both access to technologies and information as well as the fundamental science that generates new inputs or novel ways of employing them.” The accumulation of human capital facilitates technological innovations and can make growth in agriculture more sustainable. Participatory training for smallscale farmers on climate-services and information in Dodoma, Tanzania. Credit, C. Schubert, CCAFS. Agricultural development also requires the growth of human capital at a fundamental level. Smallholder farmers need to be literate and numerate if they are to fully develop the productivity and income of their farms. They also need to be analytical and critical, so that they can be innovative and participate in research. Finally, human capital determines the quality of the labour force that can be employed in innovative activities. 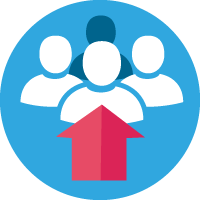 Educated and skilled employees are more likely to spot potential innovations, question existing practices and have the knowledge to explore new solutions. 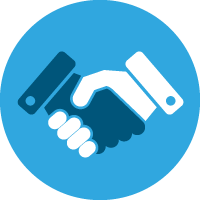 Higher levels of human capital contribute to resolving common landscape or system wide problems such as water, pest, and soil management. Agricultural education and training, agricultural extension, and participatory research are all essential in building the capacity of farmers, but only if they are responsive to farmers’ needs and the realities they face. Agricultural education and training covers a broad range of formal and informal activities that build knowledge capacity within the agriculture sector through higher education, diploma and certificate levels, vocational and in-service training and informal knowledge and skill acquisition. Agricultural Extension is the application of scientific research and knowledge to agricultural practices through formal and typically government-run farmer education programmes. The role of extension services is invaluable in teaching farmers how to improve their productivity and it is also critical to move research from the lab to the field by translating new knowledge into practice. 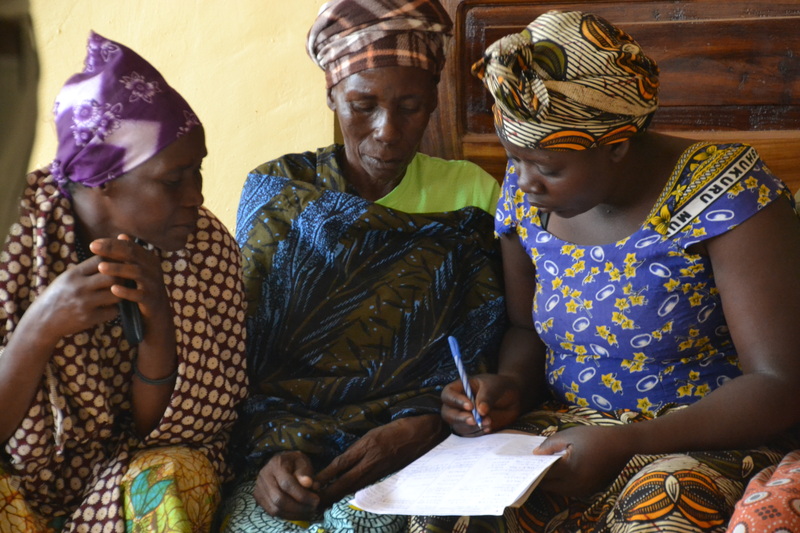 Participatory research, a collaborative approach to research, emerged as way to create appropriate technology suitable for the needs of smallholder farmers. 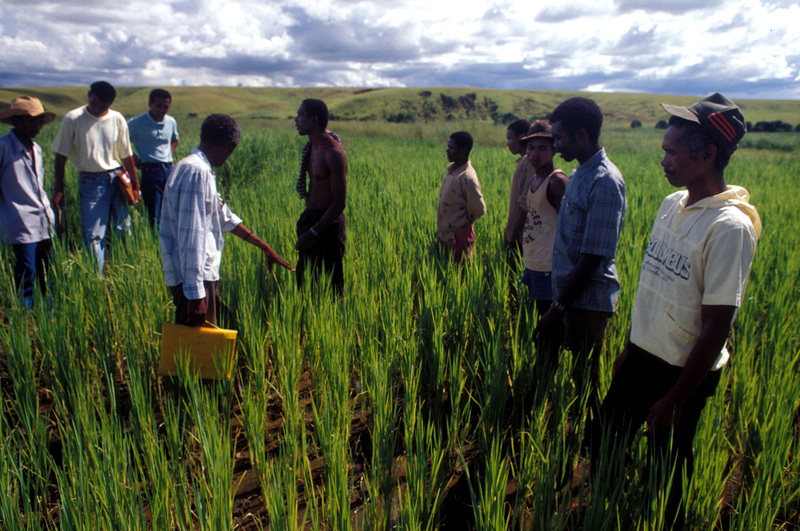 Participatory research helps to increase adoption rates of new methods or technologies by involving farmers in the development of the invention. Penda, ST 2012, ‘Human Capital Development for Agricultural Business in Nigeria’ International Food and Agribusiness Management Review, vol. 15, no. A, pp. 89-91. Dakhli, M, & De Clercq, D 2004, ‘Human capital, social capital and innovation: a multi-country study’. Entrepreneurship and Regional Development, vol. 16, pp. 107-128. Pretty, J, Bharucha, ZP & Garba, MH 2014, Foresight and African agriculture: innovations and policy opportunities, Foresight, UK Government Office for Science, London.